Our true white female mannequin is headless. This female has a molded wedge foot and cannot wear shoes. She has her hands at her sides. 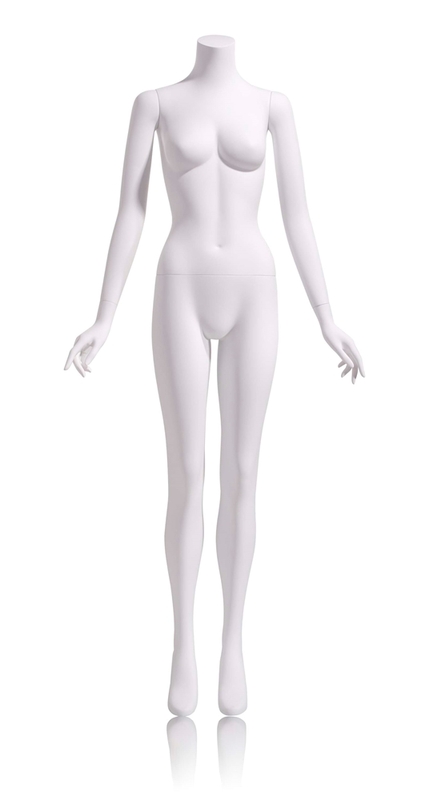 She comes in a true matte white, made of fiberglass. Round glass base is included. She wears a size 4/6.